Holi scenes are not new to Bollywood. From the yesteryears, filmmakers have been using the Holi trope in their films to showcase revelry, love, mischief and some good old song-and-dance routines. There have been many memorable Holi scenes in Bollywood. Who could forget Gabbar Singh’s iconic “Holi kab hain? Kab hain Holi?” line? 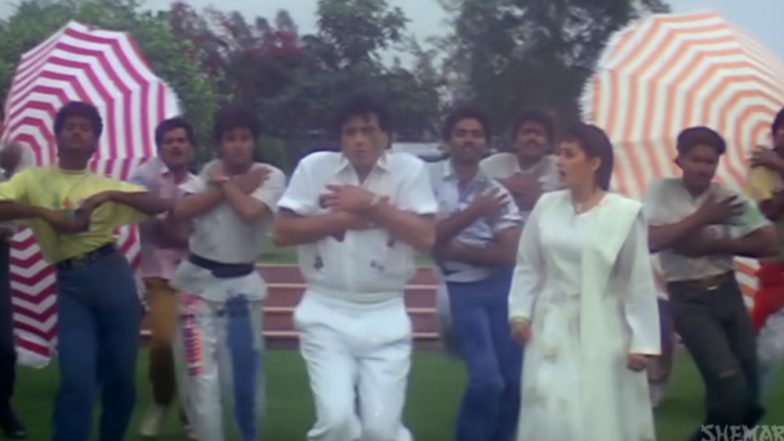 Or Sandhya Shantaram’s mind-boggling dance routine in "Ja re hatt natkhat" in Navrang? But as we mention the memorable ones, let’s also not forget the outright cringey ones, the ones that made our skin crawl and the ones that made us throw up in our mouths. From Rang Barse to Balam Pichkari, Groove To These Old & New Bollywood Songs On The Festival Of Colours . Here are some of the dishonourable mentions. Don’t get us wrong. We love the song. And for some right reasons, the Rang Barse is iconic. But who could blame Shobha (Jaya Bachchan) and (Dr Anand) Sanjeev Kumar for looking pissed off throughout the song sequence at the Holi party? Their horrible spouses – Amit (Amitabh Bachchan) and Chandni (Rekha) – are serenading each other right under their noses. Spare a thought for your own spouses you inconsiderate adulterous idiots! Before Shahrukh Khan played a stammering, harassing stalker in Darr, he played a hamming, harassing stalker in Deewana. In the 1992 movie, he plays a man in love with the widowed Kajal (Divya Bharati). In a cringe-worthy scene, which was supposed to show his love for Kajal, he barges into her house on Holi. And for reasons unknown, he’s flanked by goons on either side who join him as he stares down at Kajal menacingly. He nearly punches a hole in the wall while professing his love to her, when she’s clearly not interested. I mean, f%#k consent. Ala Holicha San Lai Bhaari, Kheltana Rang Bai and Other Numbers That Will Make this Festival of Colours Musical! (Watch Videos). Khal Naaika -- Aanchal ke andar kya hain? Call us prudish, but what the hell does that have to do with Holi? Waqt -- "Do me a Favour"
We bet there are more embarrassing Holi moments in Bollywood. These are the best ones we could come up with. If you can think of any, let us know in the comments. Happy Holi everyone.